I have a 59 Aygo and need to replace the car Battery. I'll most likely get a stock Battery based on the cars reg, but just wondered if anyone else is using something different? I use at least 44AH and CCA of 420 Battery. Aygo can actually take a bigger Battery than the one it came with. That way you are ensured a longer life and easy cranking during winter. A higher AH and CCA than original, does not cost that much extra.There is no point in me telling you exactly which Battery I use since there are different makes in different countries. Hi, yes like Rajiv says there are a lot of companies.......if you keep to roughly the 'AH' and "CCA" ratings he said you'll be fine, It is well worth shopping around as prices vary a LOT! Colin you're right about Halfords, I just had a look on their site and the cheapest Battery is £95, and that's for 40Ah. I had a look at your link and that seems pretty good. I was also looking at this one; https://m.ebay.co.uk/itm/Yuasa-Car-Battery-Calcium-12V-420CCA-50Ah-T1-For-RENAULT-Megane-MK1-2-0/132924746244?_mwBanner=1&_rdt=1 which is 420CCA & 50Ah. Same physical dimensions as the one you posted (207mm x 175mm x 190). Which leads me to my next question. I assume those dimensions will fit onto a 59 plate Aygo Battery compartment? How true. 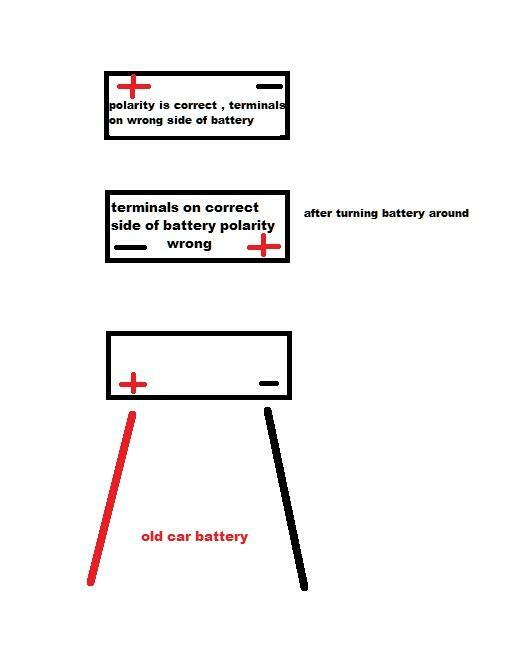 There is a guy in another car forum that bought a car Battery and connected it the wrong way around and fried his car electronics and now the car is dead. Watch your polarity. quick sketch to illustrate how easy it is to get the wrong Battery even though dimensionally it fits. Just my 2p worth, I got a Bosch S4 in our 107 currently, think that is over 5 years old and still working ok, had few other Bosch batteries over the years in various vehicles usually S5 and had 8 years and (6 years and counting), so worth considering imo. in all my 25 years of driving ive only ever replaced one battery and that was on my 1988 405 mi16 after doing an engine rebuild and i dropped it and cracked the case . Thumbs up with Puglet, Bosch S4 in mine too.